Hi @Diesel-NL, Please check my 2 posts below and see if it works for you. 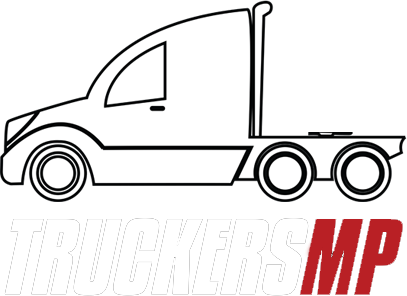 Launch Truckersmp. On Login screen, before you enter you email and password, open in-game settings. Disable Development logging. Disable Season effects. Apply, OK. Now login to server and let us know if it is working. Regards. Try this. Lauch TruckersMP. Before you Log in, open in-game settings (see picture below). On general TAB, disable Development loggin and disable Season effects. Click Apply and OK. Now, login to the game, choose the server and check if the game will run. Hi @[ETS2MPI_494] Edy Tirto S Try this. Lauch TruckersMP. Before you Log in, open in-game settings (see picture below). On general TAB, disable Development loggin and disable Season effects. Click Apply and OK. Now, log in to the game, choose the server and check if the game will run. Hi @SJ Yeung. I think it is the same problem I had yesterday. Please read my post to confirm if you are facing the same problem. If this is your problem, it could be internet connection. But for me, after I solve the problem, it happened again, so I followed other tip they answered in my post, as I show to you below. Open in-game settings on Truckers MP before you log in. Once you open the settings, on General TAB, disable Development logging. Apply, Ok, log in to server you want and when you press Drive everything should be working now. Let us know if it works. Hello @[FC-CC] ReaPeR You bet. I am satisfied with all the answers. I am new on TMP but I have to say that people here really help each other. It is really good for a Forum. Congrats. Once again, I thank all you guys for helping me. After reading all the answers, specially from @DJFrontier, I guess the problem is not increase FPS by changing setups, but internet connection issues, causing this low FPS while loading the game. The main reason that makes me believe this is the problem, is because I could connect to American server whithout any problem. Only when I tried to connect to European server the problems happened. Also, I did not change any kind of setup, resolution, nothing related to graphics, before the problem begins. Last but not least, all of sudden I can connect to European server again. Dont ask me why and how it changed. I did nothing. Back again. After this post, my problem was fixed for a while. Later when I tried to come back to the MP game, I had the same problem again. So, my new suggestion now (worked for me again), is: After the game stops responding Go to your Euro Truck Simulator 2 directory Open file Game.log Search for error "<ERROR> [dx9] Present failed. [0x88760874]" If you see this error, it will appears several times. The solution I found on steam community, is: Solution: give the graphics card more time to respond How-to: open up the registry (windows key + r -> "regedit" -> OK) go to the following path "HKEY_LOCAL_MACHINE\SYSTEM\CurrentControlSet\Control\GraphicsDrivers" create the following new object at this location (right mouse button) "DWORD (32-bit)" -> name it "TdrDelay" -> assign it a value of "10" (decimal) close the registry restart your system You can check the information at https://steamcommunity.com/sharedfiles/filedetails/?id=379526721 Hope it helps too. Hello All. I am one of the truckers who have this problem from time to time. So I always search for solutions in the forum and sometimes the problem is solved. This week the problem back again for me and I read somewhere here that most of the reason is related to Directx 9. I have windows 10 installed and directx 12 and could not install directx 9 in my computer. Searching for solutions in microsoft web site, I found this: Hi, I think this is what you need... it is an optional package of DX9-10 files... A lot of games require it... DirectX Runtime June 2010... This is a self extracting package. It will extract after double clicking on it so be sure to note the location where you\it extracted. Then open the folder and double click DXSETUP. http://www.microsoft.com/en-us/download/confirmation.aspx?id=8109 So, after download the file, extract and run the program DXSETUP, I can play MP again. I holpe it works for you too. So... Last friday I posted the topic below and everything was going ok, until today. Again, after login in TMP, when press "Drive" the windows desktop shows up, still hear the game sound but never can back to the game. When it first happend, it was solved following the steps mentioned in my previous topic. But now, it is not working. :-( Here I am to ask you guys another help. Regards. Dear All. Let me update my "problem". First of all, thank you guys for the support, patience and intention to help me. I will not mult quote the posts, in order to do not make this answer a big text. From 1st answer to last one, I followed and tried all the sugestions mentioned. The solution in my case was MS Visual C++ 2015 was not installed. After I install it, the mp game back to work. Again, thank you all and sorry for some english mistakes. Regards, Ricardo. Yes, i fixed this problem earlier with these steps. But from yesterday to today, nothing was changed (as fas as i know) and can't play anymore. Talking about graphic card, mine is a onbord intel card. But I can play online in low resolution. I will try it and let you know.